Going back to our old age science and adopting our traditional health practices like Yoga and Ayurveda, people of India can lead a healthy life and it will curb the diseases burden, said Rajya Sabha MP Subhash Chandra. 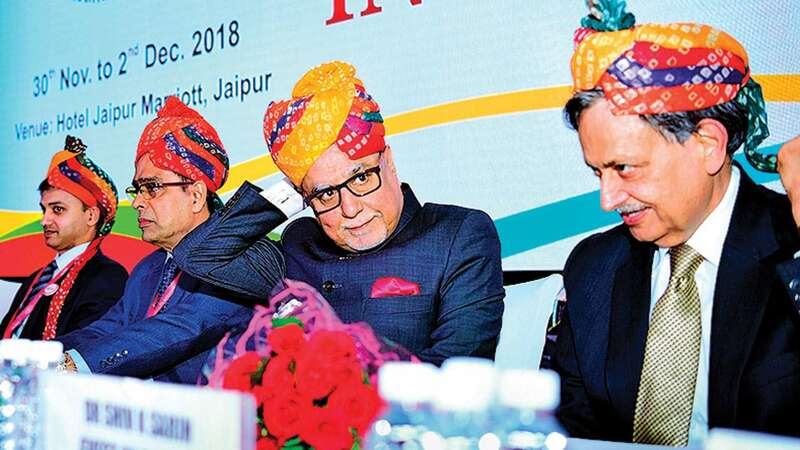 He was addressing as the chief guest the inaugural session of 27th annual conference of Vitreo Retinal Society of India (VRSI- 2018) in Jaipur on Friday. “These days people talk about disease trends, nobody talks about health or living trends. We have our old age science and healthy lifestyle practices like Yoga, Ayurveda, Homeopathy, Naturopathy but we have forgotten those healthy living trends and started following western world in food habits. As a result, India has almost joined the US in becoming a diabetic nation. Increasing diabetic cases and the fact that the 50 per cent of retinal disease patients are due to diabetes make it clear that how western diseases are gripping the Indian people. But it can be checked by going back to our traditional healthy lifestyle and practices,” said Subhash Chandra. Emphasising the importance of health in Indian traditions, Subhash Chandra mentioned an anecdote that he used to listen from his great grandfather that “Pahala Sukh Nirogi Kaya” (good health is the first priority for a human). Mentioning the key role of doctors as an agent of change towards healthy India, Subhash Chandra said that Ayurveda and Yoga can help in combating increased burden of disease in India which is caused due to change in lifestyle and unhealthy food habits adopted from western countries. In this regard, a doctor can play an important and effective role as he is listened by people. “In a country like India, where doctors are placed equal to god, a doctor can be effective agent in building healthy India through spreading message of adopting healthy lifestyle. Because his patient surely listens him,” said Subhash Chandra. The three-day event is being organised with a purpose to bringing key opinion leaders in vitreo retinal surgery from across the country and highlighting the recent developments in the treatment of retinal diseases. “The course of treatment for vitreo retinal disease is very expensive as it costs around Rs 7 lakh per year. Clearly, it is not within the reach of 10 lakh people in India suffering from this disease. I hope that the event will throw light on it and come out with solution for less expensive treatment,” said Subhash Chandra. Addressing the inaugural event as guest of honour, Dr Shiv Kumar Sarin of ILBS, New Delhi, said that doctors should be ethical while treating to patients and a medical practitioner should treat every patient with the same medicine, efficacy, love and affection. Addressing the inaugural event as guest of honour, Dr Shiv Kumar Sarin of ILBS, New Delhi, said that doctors should be ethical while treating patients. Dr A Giridhar, president VRSI from Kochi, Dr Raja Narayanan honorary secretary VRSI, Dr Vaishali Gupta convenor scientific committee VRSI from PGI Chandigarh, Dr Pawan Shorey Organising Chairman, Dr RK Sharma organising secretary and other senior retina experts were also present.